FIFA U17 World Cup 2017 Point Table and Group Standings. Under 17 men world cup 2017 is hosting in India and its will be played between 6th 28th October 2017. 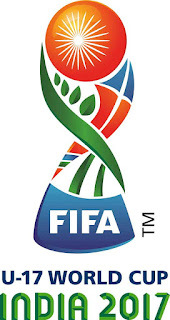 There are 24 teams from six confederations are participating in 17th edition of FIFA Under 17. Hostages, India, Automatically qualified for FIFA Under 17 world cup. This is first time team India Participating in FIFA Under 17 World Cup. There are Six Groups with four teams in 2017 FIFA U17 Group Stage matches. Each teams from same group will match once with each other. More wins give team to get top in the FIFA U17 2017 Point Table. As usual, One wins give 3 points and match draw or no result (match debarred due to any problem) gives 1 point. If teams draw with points, then higher goal difference will decide the winner. Even goal difference and all other factors become draw with two teams, FIFA will make a lot to decide who to advance in Point Table. For the second round of FIFA U17 World Cup, that is the round of sixteen, tournament need 16 teams to select from the group stage. Two teams who score more points from each group will advance as usual then the remaining fours will select from third positioned teams from each groups.